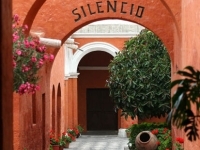 Arequipa is known for its beautiful white colonial buildings and there is plenty to see and plenty to photograph in the UNESCO-listed historic centre of the city. The Plaza de Armas is the central landmark of Arequipa and a great starting point for a sightseeing tour of the city. 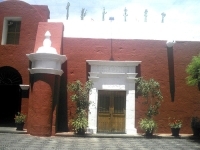 Highlights of Arequipa include the Santa Catalina Monastery, the Museo Santuarios Andinos, the Santa Teresa Convent, and La Compania, but the White City is bursting with churches, monasteries, and convents. For those who have fallen in love with the local cuisine, the Peruvian Cooking Experience, a cooking course held at the Casa de Avila Hotel, is a very popular activity for tourists. Beyond the colonial elegance of the city, the volcanic peaks of El Misti, Pichu Pichu and Chachani loom above Arequipa and it is possible to hike up the mountains and earn stunning views of the region. El Misti and Cachani are both popular with hikers, but visitors should note that the altitude can be uncomfortable and it can get freezing cold on the mountain. The main natural attraction of the region is the Colca Canyon, one of the deepest canyons in the world, which attracts many avid hikers with its condors, traditional villages and breathtakingly dramatic scenery. 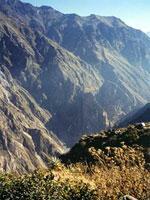 We are looking for contributors for our Arequipa travel guide. If you are a local, a regular traveller to Arequipa or a travel professional with time to contribute and answer occasional forum questions, please contact us.